How to Plant Your First Vegetable Garden or Make One Better. If you've never vegetable gardened before, you are in for a treat on many levels. Fortunately, growing vegetables is pretty easy and the gardening basics of flowers still apply. People have been doing it forever. Growing great tasting vegetables and staying ahead of problems does take a little knowledge and effort, but the following lessons will get you comfortably up and running in no time. The rest you'll learn as you go, which is the real thrill of gardening; overcoming unexpected obstacles and ending the season with a hearty harvest. You literally get to eat the fruits of your labor. So let's start your first vegetable garden. I warn you, it's addictive. 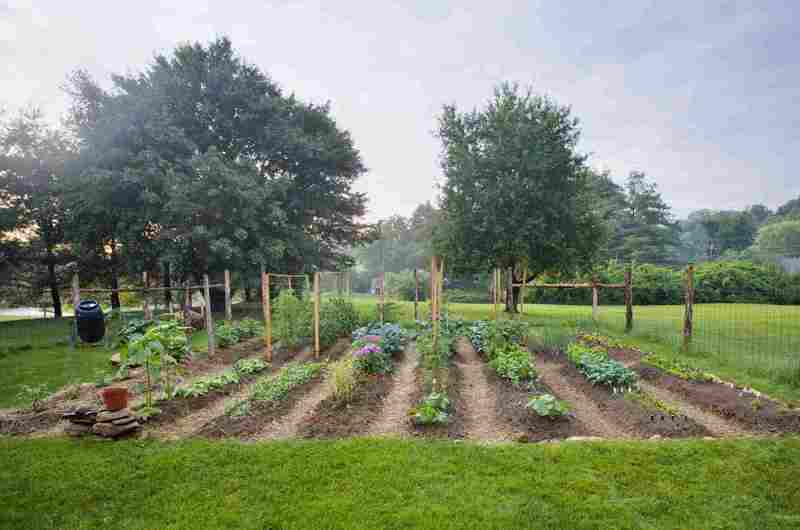 Where Should You Put Your Vegetable Garden? You want to make your vegetables happy. Stressed plants won’t give you bushels of great tasting vegetables. Most vegetables enjoy the same growing conditions, so making them happy isn’t a huge challenge especially if you have a spot with full sun.. But if your vegetable garden isn’t convenient, it’s going to be neglected. Here's what to consider as you decide where to put your vegetable garden and how much effort you are willing to put into it. What to Grow In Your Vegetable Garden? This is the fun part of planning a vegetable garden. It’s also deceptively difficult because our eyes are much bigger than our gardens. Everything sounds so luscious that it’s very tempting to try and squeeze in more than we should. I may never convince you not to try 18 varieties of tomatoes this season, but here are some suggestions for deciding what vegetables will have a place in your vegetable garden. Start from Seed or Buy Plants? There are some practical considerations here. A lot of gardeners will start all their plants from seed just to have the greater variety seeds offer over seedlings. But even if the idea of spending your winter pampering tiny plants in the basement is disagreeable to you, there are still vegetables that grow best if planted from seed. Don’t panic. These can be direct sown in your garden. Still, you'll need to know which vegetables you can buy as plants and which you’ll need to pick up as seeds. Aesthetics take a back seat in vegetable gardens. Your first concern should be placing the vegetables in their optimal growing conditions. You’ll also need to consider room for paths and space for working. But that doesn’t mean it can’t look great. Here are some tips for laying out out your vegetable garden and some vegetable garden photos for inspiration. You don’t usually plant your vegetable garden all at once. Some vegetables will fade when the weather heats up and others can be popped into the opened space. Other vegetables only produce for a limited time and can be sown in staggered plantings to extend the harvest. There are several easy ways to make the most of your vegetable garden space. Almost any vegetable can be grown in containers. In fact, container vegetable gardening has certain advantages. First, you can control the soil and drainage. It’s a lot easier to have great soil when you’re pouring it into a pot and not breaking your back tilling in amendments. You can place your vegetable container gardens where they’ll get the most sunlight or even move them around to follow the sun. And raising your vegetables off the ground a few feet makes them harder for pests to reach. Of course, they’ll need more water and some of the larger vegetables won’t be happy cramped into a pot. Here’s a list of tips and suggested varieties to turn your patio into a vegetable patch. Now we’re ready to tackle more practical matters. A vegetable garden requires regular maintenance. Vegetables won’t wait until it’s convenient for you to water them, stake them or harvest them. Some tasks, like staking and mulching, can be done early in the season. Others, like watering, will be ongoing. The last thing you want to do is go through all this work starting your garden and then see your vegetables going to waste. You knew it was coming. Pest control is a vital part of vegetable gardening. The last resort is to start spraying all kinds of concoctions on your food. The trick is to stay on top of the situation and take the appropriate steps when necessary. This is what we call Integrated Pest Management or IPM. Finally. To savor the best, we need to know when to pick at peak. Some vegetables tell you, like the way a cantaloupe will slip off the vine. Others take a bit of finesse. It’s possible to grow only what you intend to eat fresh or give away, but it seldom happens that way. Besides, there are few winter treats as enjoyable as a pie made from your frozen blueberries or a jar of your own crushed tomatoes. By now you must be raring to go. The only thing left to do is study up on what your vegetables want, so you can be sure to give it to them.